The frequent references to yoga in the notes that accompany pianist Art Hirahara’s fourth outing on Posi-Tone belie his obvious love of clamorous keyboard runs and his desire to mix it up with the aggressive rhythm duo of Linda May Han Oh and Rudy Royston. In addition, on the aptly named “Unbound” he turns Donny McCaslin loose for a skittery howl of a solo. At his most assertive, Hirahara is a muscular player who employs broad swaths of the keyboard with exemplary technique. Even when performing “Akatombo,” a shimmering ballad adapted from a Japanese lullaby, Hirahara’s playing has a tensile nature, and when he churns up another Japanese melody—“Ringo Oiwake”—he recalls the brawny approach of McCoy Tyner. One of Hirahara’s early mentors was trumpeter Dave Douglas, so the hookup with his compatriots Oh and Royston is a natural fit. 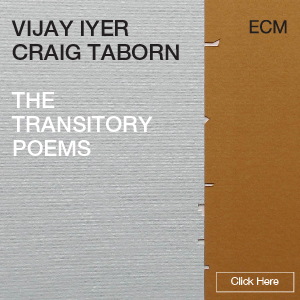 They push the pianist hard on the rough-edged pieces like “Unbound,” yet have the ability to swing lightly when he downshifts. Although Sunward Bound is principally a trio outing, McCaslin comes across as much more than a hired hand—blending effectively with Hirahara on “Brooklyn Express” and adding a gauzy layer to Oh’s tender bass on the title track. When he shreds on “Unbound,” it sounds like Hirahara wrote it with him in mind. When Hirahara steps out alone to close with David Ake’s “Inverted Fountain,” he brings all his characteristics together: the sinewy touch, breadth of scope and innate sense of swing. 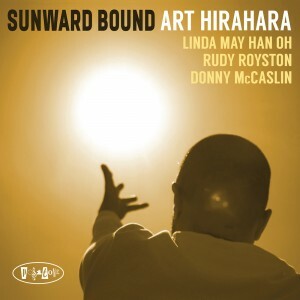 Personnel: Art Hirahara, piano; Linda May Han Oh, bass; Rudy Royston, drums; Donny McCaslin, saxophone (2, 4, 5, 6).